Safely in Singapore, I’m composing over a peanut brittle and Starbucks (people really aren’t joking when they say American portions are enormous- I shudder, and jitter, at the thought of what a Starbucks Venti in the US would be like. Perhaps a soup bowl?) a few streets away from the iconic Raffles hotel; Also appreciating the manager’s choice of music (go Lorde & Goldfrapp). 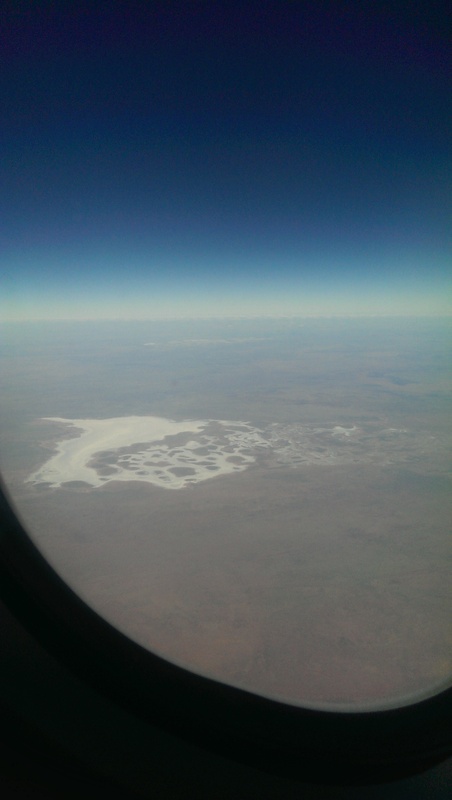 One note on the flight (aside from the minor delay): I have at last gotten the impression that non-Australians of Australia – a red dustbowl (complete with salt lakes and kangaroos). The disparity between the reaction of Australians (me) and tourists (the English lady I pointed out Uluru/Ayers Rock to) never ceases to amuse me- glib ‘oh, one of our national icons. Seen it’ versus ‘wow, that’s amazing’- I’m sure the reverse is true of Stonehenge and the Giant’s Causeway. So far, I’ve discovered the meaning of compact living (my hostel was quite a bit smaller than I expected- I clearly didn’t get Minh’s (lab partner, former Singapore business student) advice on the compactness of Singaporean accommodation), how not to blend in (first along Pagoda Street and the MRT hauling my suitcase around, then trekking across town with camera bag and satchel in tow), and the courtesy and friendliness of Singaporeans (case-in-point: the concierge at my hostel, who happened to be doing undergrad architecture at NUS, volunteered a wealth of information on the area and NUS). My perspective on some of the stricter trivial laws (chewing gum, jaywalking, general modesty, etc) is changing- clearly the truly pointless ones are generally ignored (the niggly bits of crossing streets for instance) and rarely enforced, as in any other western/ised society. The policies of the city-state and the environment they have produced remind me of what a social engineer would create- targeted restrictions intended to produce a highly ordered, very clean city (also a little of ‘The Cleaner’ from Blackbooks). An excellent example of this is the combination of the legion of cleaners patrolling the MRT, extremely clearly delineated traffic flow signs (the red boarding and green alighting areas in front of the train doors, ‘keep left’ zones in corridors, etc) and heavy penalties for public transport nuisances- applying penalties to minor infringements seems to have completely discouraged major infringements (mugging and actual violence) on the MRT, a phenomenon in the same vein as the marked reduction in crime on NYC’s MTA network when heavy fare evasion penalties were brought into effect in the 1990s. In terms of technology, Singaporeans are indeed as enthusiastic about consumer electronics as I thought they were- Fanan Digitallife mall is an excellent place to go (much more so than Sim Lim) if one is looking for electronics; I spent a couple of hours there trawling through the cornucopia of tablets, laptops and other difficult to justify expenditures (looking at you, smartwatches). Also the emoji adorned feedback tablets right after the passport check stations were an interesting, oddly placed touch (apparently wherever there’s an excuse to put a touch screen in Singapore, its been there since CERN invented the touchscreen). Next on the agenda: try Kopi, hawker fare, Merlions.